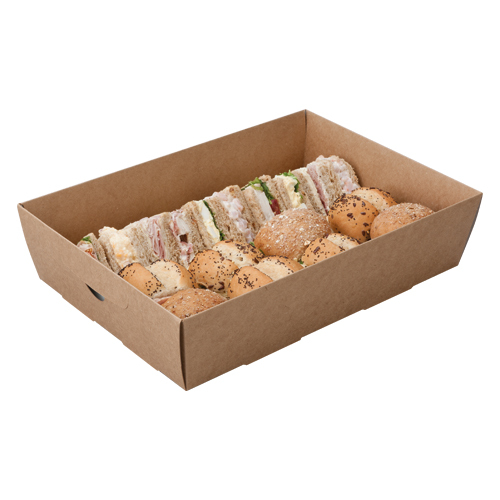 Not just for Sandwiches, use our platter trays for all occasions including BBQ's and party's. 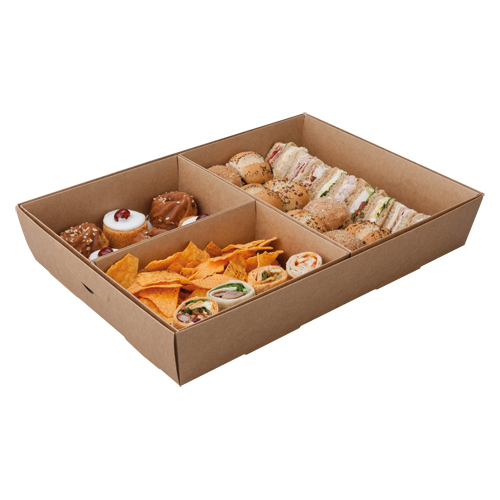 The advantages of having a card platter tray far outweigh the plastic version from cost to all over printability. 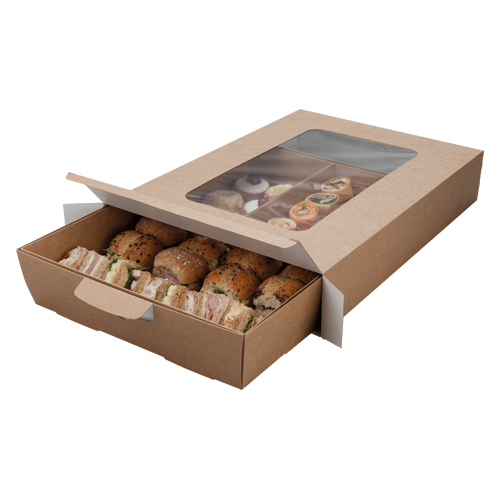 Made from Biodegradable board. 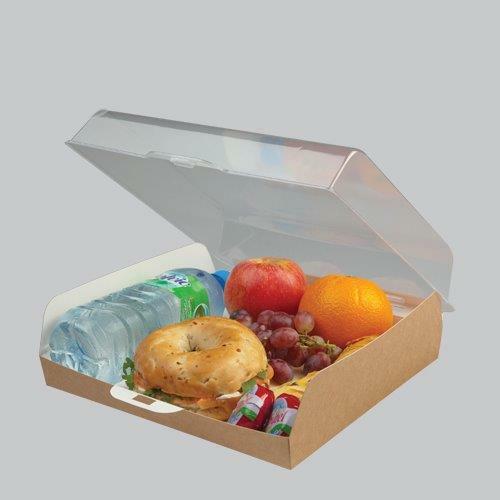 Various insert options available. 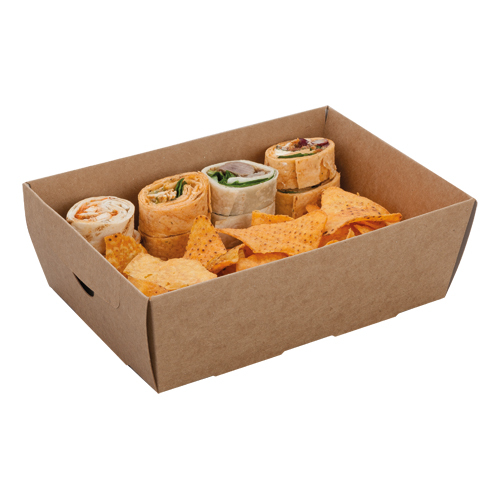 'Lets do lunch' platter tray is new to our selection of existing platter boxes. 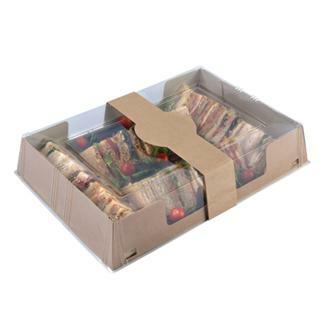 With a Biodegradable base and lid it gives you excellent visibility for displaying your produce. 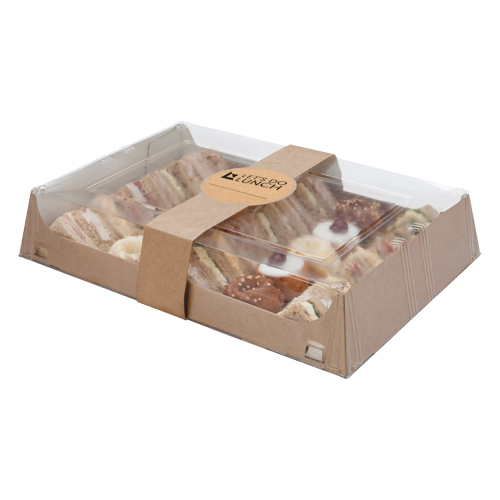 Ideal for meetings, party's or even BBQ's this Platter Tray wins hands down in the presentation stakes. 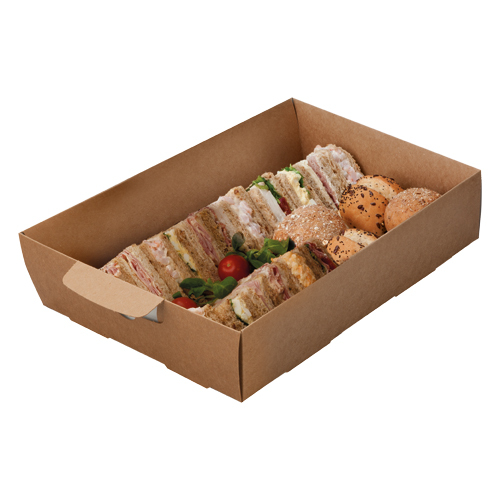 The ‘Gourmet 24/7′ platter is the pack of choice for business lunches, special catering occasions and select parties. With a unique hinged lid and great visibility the ‘Gourmet 24/7′ gives you the option to fill with food for one or use as a small platter for a meeting.